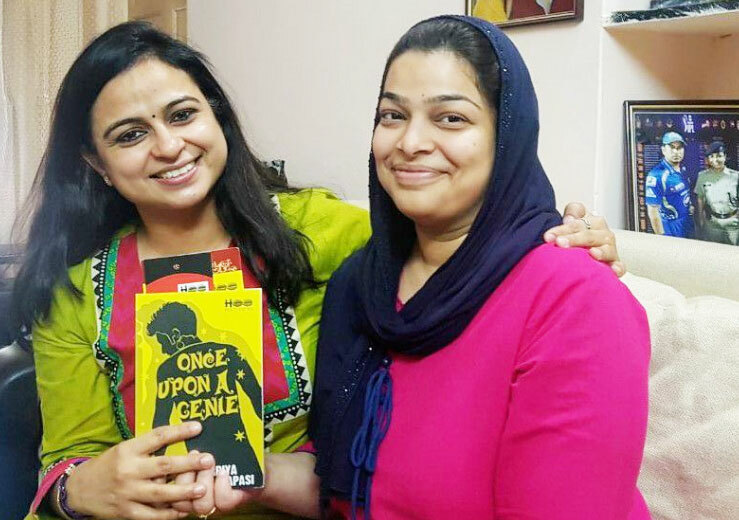 Copies of Once Upon a Genie were kept at the cozy library of Sheroes Café Arvana Udaipur. 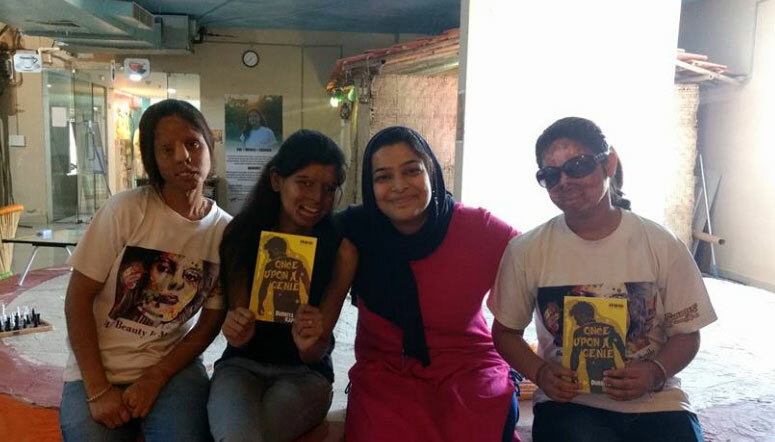 Author Durriya Kapasi visited the café lately and met the Acid Attack Survivors who run the café. Sheroes manager Vasini Singh with survivors Ritu, Anshu and Shabnam welcomed Durriya and shared their tragic stories with her and how they struggled until they joined Sheroes Cafe. “They are the bravest ladies of Earth” says Durriya. 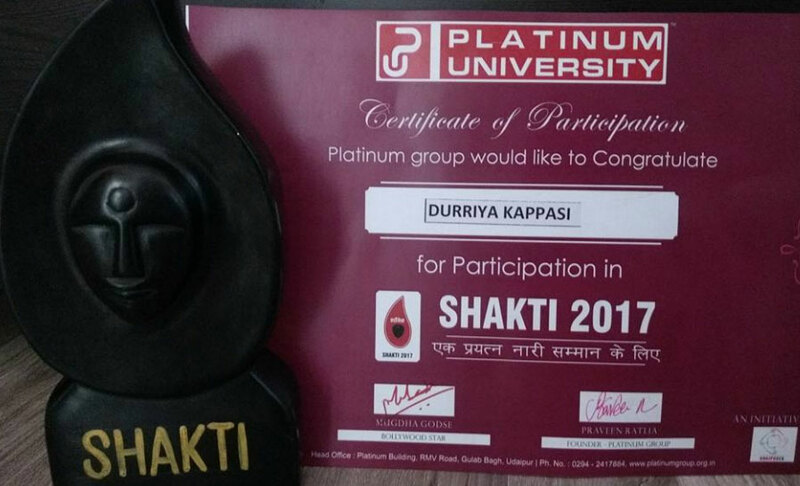 On April 9th Durriya Kapasi received the prestigious Shakti 2017 Award by Platinum University in association with Rajasthan Patrika. 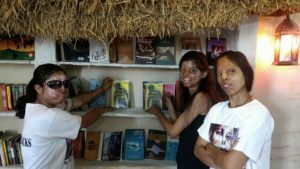 Durriya was awarded for her struggle in fighting cancer and coming up as a published author. Receiving the award from ex Cabinet Minister Dr Girija Vyas, Brhamakumari Rita Devi and Director of Aravali Institute Nisha Dixit. 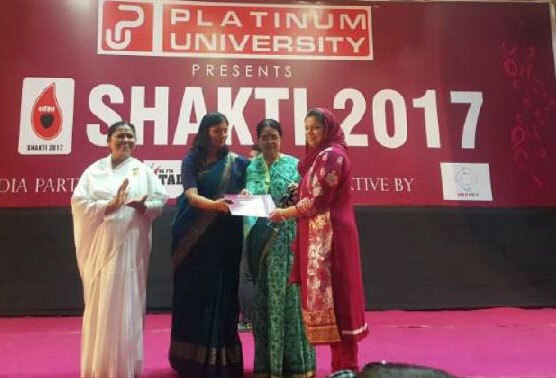 The award was given to more than 50 selected women from different background. 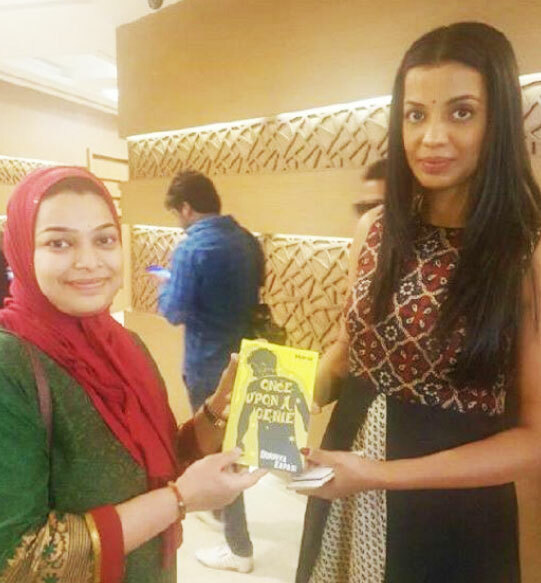 Few days back I got chance to meet Mugdha Godse during her short visit to Udaipur. 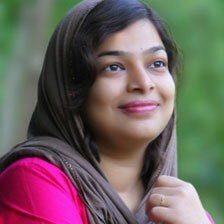 It was first time I was meeting any bollywood actress and Mugdha was really carrying a personality. Beside her tough job, and coping up with dangerous situations now and then ATS Udaipur’s top cop Ranu Sharma (Additional Superintendent of Police) is also an avid reader and full of life, charismatic personality. She hugged me tightly and congratulated for the book. Ms Ranu Sharma was so hospitable when I visited her residence recently. 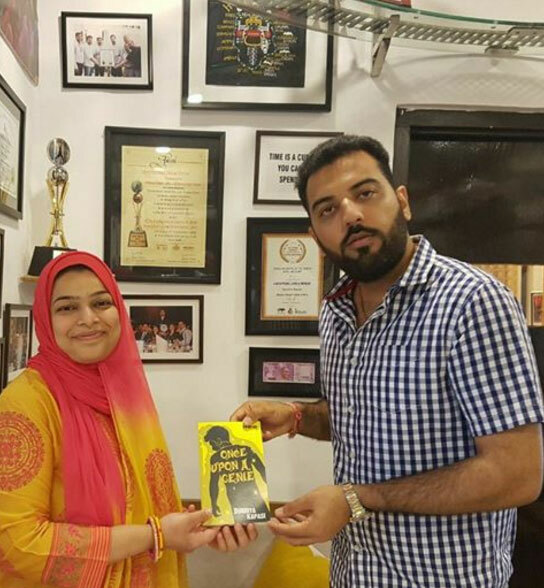 I feel proud to present my signed copy to such a wonderful lady. On March 29, I got an opportunity to meet the Prince of Mewar, the stunning personality, Maharaj Kunwar Shree Lakshyaraj Singh Mewar at City Palace Udaipur. The Prince congratulated me for the debut novel and expressed his views on how he and his ancestors contributed in developing and encouraging literary programs. Maharaj Kunwar extended his help and wished me all the best. I presented a signed copy of the book to Maharaj Kunwar.